The story of the Horowitz family. A portrait of four generations of an assimilated Jewish family in Poland and how they survived Nazi and Soviet atttempts to destroy both them and their country. The website PolishWriting.net has an interview with Antonia Lloyd-Jones, the English translator of the book. Ms. Olczak-Ronikier has become well known in Poland, since her book won the country's most prestigious literary award, the Nike Prize, in 2002...[Her] memoir gained its broad audience in Poland partly because the clan described in it is one of Poland's most illustrious, but also because its members were deeply involved in the central events of the 19th and 20th centuries..."We survived thanks to the Poles," she said. "My family was well known because we were a famous family and famous for Polish culture, and that's why we were helped." It is the story of the descendants of Lazar Horwitz, an eminent rabbi’s son from Vienna who settled in Poland in the early 19th century...The story takes us way beyond Poland’s borders, for the Horwitz clan was nothing if not cosmopolitan. They studied in Ghent and Zürich, they holidayed in Baden-Baden, Ostend and Sorrento...She tells her story with a tender matter-of-factness that makes it come alive, and displays a refreshing lack of hindsight: the narrative is not, as is so often the case, marked by the shadow of the impending Holocaust. Indeed, nothing in this wonderful tale is obvious, nothing is predictable. 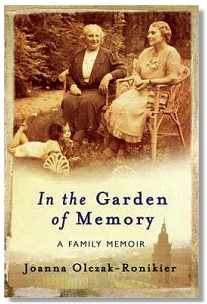 The action of this family saga takes place in Warsaw, Paris, Moscow, Bombay, Ostend and New York, in bourgeois drawing rooms, at European spas, in a tsarist prison, Soviet camps and occupation-era hiding places...Written with epic force, this story is an exceptional event in Polish - and not only Polish - literature. Publisher - Published in 2004 by Weidenfeld & Nicolson. This page was added on 31 May 2008.